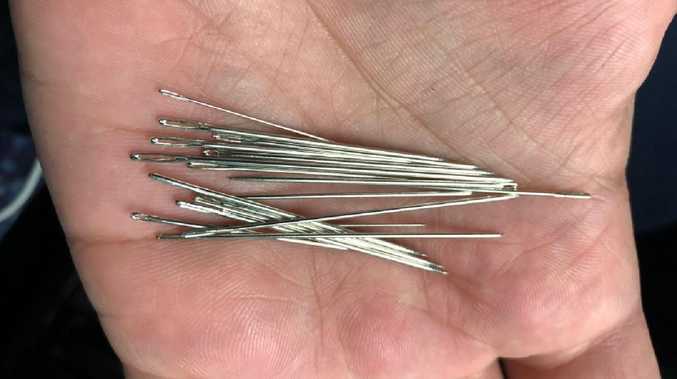 A passenger on a Metro trains was shocked to find about 20 needles poking out of his seat when he sat down. Metro has launched an investigation. Picture: Anthony Artusa on twitter. 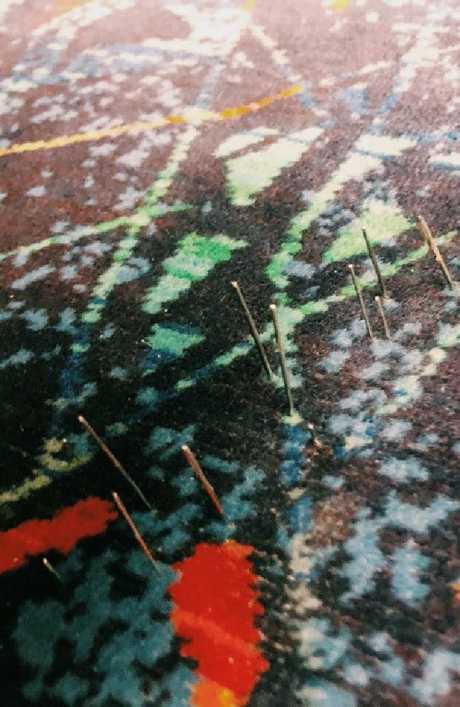 A TEENAGERS has been charged after a train traveller sat on about 20 needles poking out of a seat on a Melbourne service, with one puncturing his bottom. Detectives charged a 16-year-old Fawkner boy on Saturday with a number of offences including intentionally causing injury, assault with a weapon and committing an indictable offence while on bail. 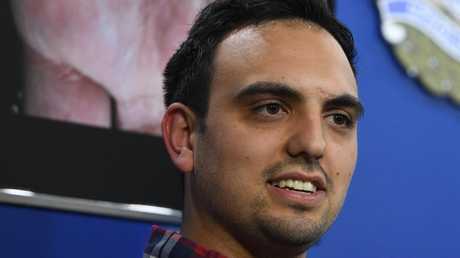 Anthony Artusa was given the medical all-clear after the incident on Tuesday on a service from West Footscray to the city. "Word of warning when travelling on @metrotrains," Mr Artusa wrote on Twitter. "Had a lovely surprise this morning when I sat on a seat with around 20 needles sticking out of it." Metro Trains labelled the incident a "terrible act of vandalism" and said it was working with Victoria Police to find the culprit using CCTV footage. Speaking to reporters on Wednesday, Mr Artusa said he boarded a Melbourne Loop train before 8am the previous day and, upon finding a vacant seat, felt the multiple needles stab him in the back of the leg. "It was definitely shocking," he said. "A good start to the morning. Yeah, just shocking." 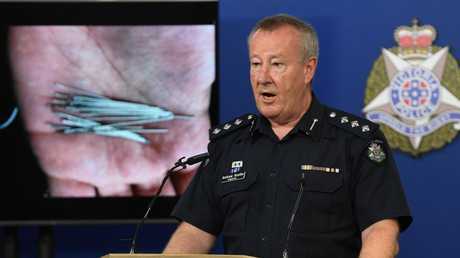 Victoria Police Inspector Andrew Gustke said six more needles had been found near the seat. "It is appalling and very dangerous. We see this as an isolated incident," he said. "My warning is anyone who might think about doing something like this, you are being watched and you will be caught and we will punish you." Insp Gustke indicated officers were looking for a male offender who may have put the needles in the seat overnight Monday while the train was running on the Clifton Hill line before being changed to the Watergardens route. The 16-year-old is now in custody and will appear at a Children's Court at a later date.